The 16th Annual Autumn Bluegrass Workshop, run by Petr Brandejs and Jindra Hylmar, took place in the village of Male Svatonovice in the Czech Republic. 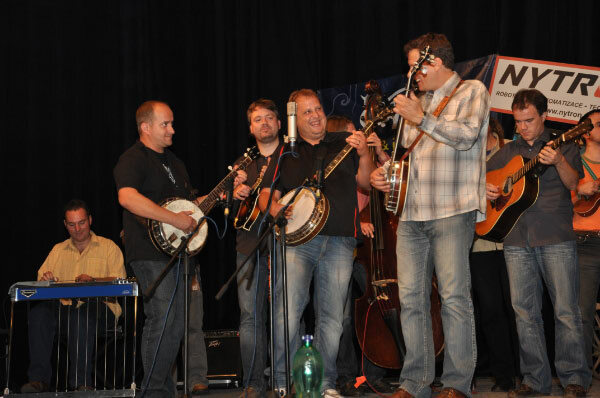 Top Czech and Slovak instructors (including steel guitar and ukulele! ), together with 130 participants [above], left this three-day event this Sunday afternoon. Nevertheless, the Saturday night show, including all the fourteen instructors and the band Relief, can be seen here (first you must install Microsoft Silverlight). 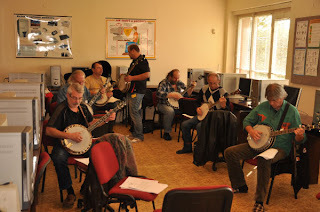 The next workshop by Petr Brandejs will take place in Novy Jicin (CZ) in March 2012.